Today we travel back to nature. 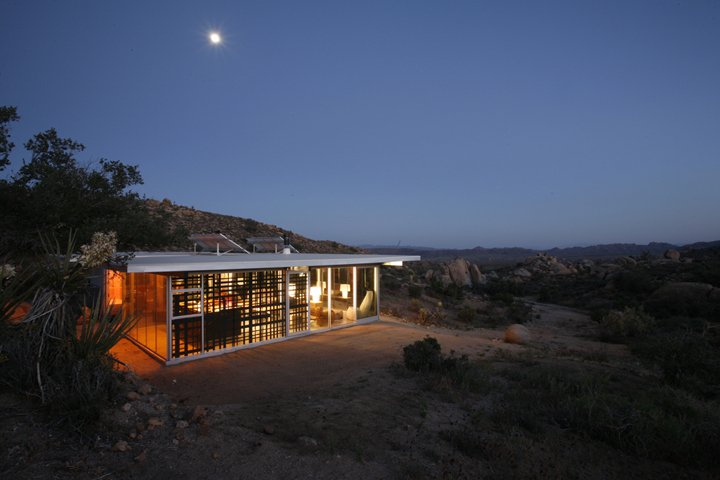 This is the holiday home of architects Linda Taalman and Alan Koch in Mojave Desert, north east of LA. This is a sustainable so called itHouse lies in the middle of the desert.Every itHouse starts with the basic 1,200sf plan and is custom tailored to specific needs. 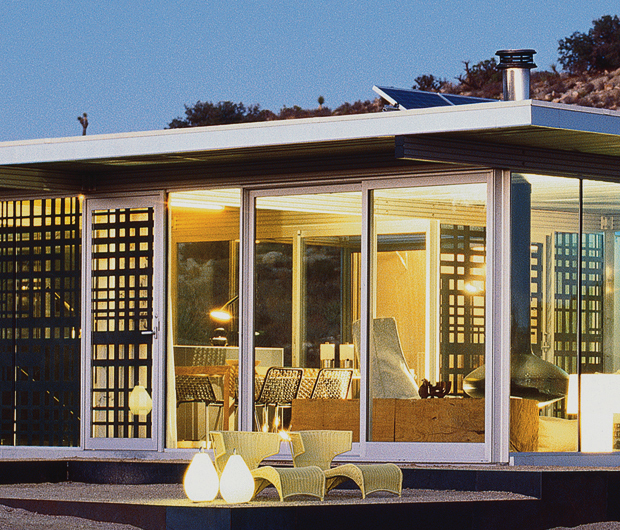 For more information about these sustainable houses click here. Q. 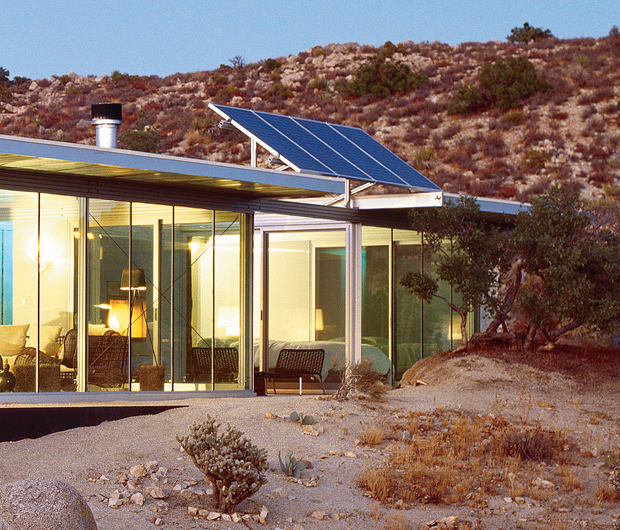 WHAT DO YOU THINK ABOUT THIS SUSTAINABLE HOME? images: At Casa, TK Architect. Ah... that living room is to die for!!! @ Stacey, thanks for the compliment. Urban Style Vibes* will undergo a metamorphosis soon so this is just the beginning. Glad that you like it!! I love this place - good find! 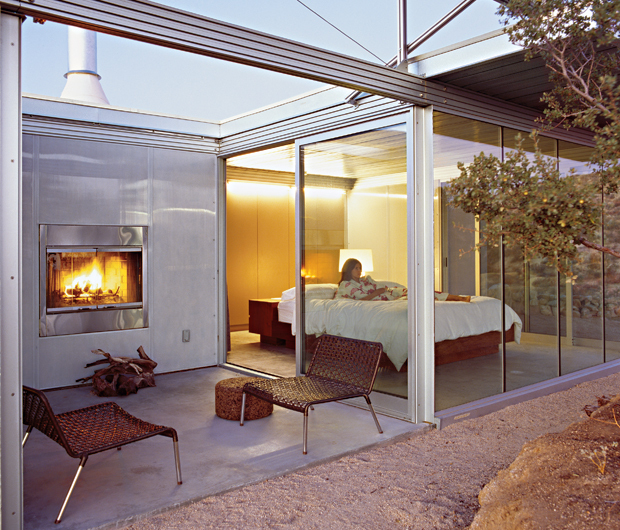 I like the modern house set against a rugged natural backcrop. I'd love to have a home with windows all around like that - though I might get a little freaked out at night, I love that open feel. Love the almost seamless connection between indoors and out in this house! 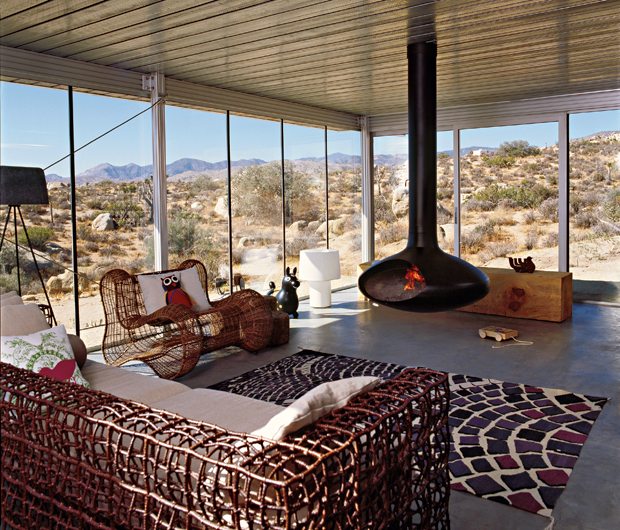 I would love to live there, except for the snakes in the desert! !